Get Smart. Stay Fit. Live Happy. We’ve all heard it before, “tea has health benefits”, “tea will make you stronger”, or even, “tea is the elixir of life”. Eventually, it’s easy to shrug off as just another sales pitch, or one more annoying solution to today’s fast-paced, high-calorie, work-centred lifestyle. The thing is, tea isn’t just another fad, and it’s not another empty answer to all of our problems. Unlike many new-fangled crazes, tea has been embraced for literally hundreds of years. So, unlike other health drinks or supplements, tea has some proven miles on it. An age-old tradition around the world, black tea is chock full of cancer-fighting properties called antioxidants, and its caffeine level boosts productivity and powers you through the busiest day. This delicious drink isn’t just a cosy comfort, an afternoon recharge, or a soul-warming drink on a rainy day – it’s the go-to resource for fit, healthy, happy people around the world. Derived from the Camellia Sinensis plant – native to China and India – black tea has been hand-plucked, blended, brewed, and steeped into a mouth-watering drink throughout history. Enjoyed by tea connoisseurs and health enthusiasts alike, black tea is frequently sipped straight up, with a little cream or honey, or in its most luxurious form – as the base for delicious chai tea. 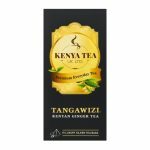 Even better, premium Kenyan tea is more convenient to toss in your purse or stock in your cupboard than a cumbersome health food drink, and what’s more, it’s classier and more exciting. “There are few hours in life more agreeable than the hour dedicated to the ceremony known as afternoon tea,” Henry James once said. And it’s true; the alluring aromas of black tea drifting through a house or workplace, and the anticipation of taking that first energizing sip are enough to hook even the most speculative folks. Whether you have an hour to spend steeping and sipping your tea, or want a quick boost to grab on the go, black tea is the high-energy, delicious choice that promotes vitality, heightens brain function, and puts your life on the track to success. Choose to sip black tea straight up or as a base for chai, this incredible health drink packs a punch like no other. 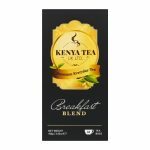 Premium Kenya tea gives you the power to turnaround the slowest day, to revolutionize a week, and to uplift your life. 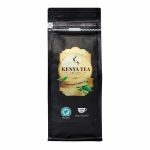 From loose tea blends to specially packaged tea bags that are quick and fun to take to work, you’ll find the perfect solution for your lifestyle with this awesome, endlessly beneficial drink.